Two San Antonio high school football players have been suspended and are dealing with more than just eligibility issues. Both students could face criminal charges, according to ESPN, after one hit a referee from behind and the other subsequently speared him with his helmet during a game Friday night. 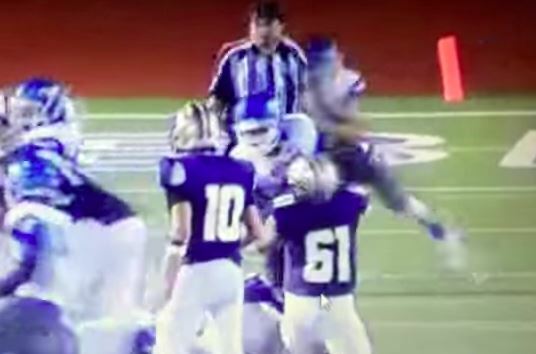 The two defensive backs from John Jay High School targeted the ref, hitting him in the back during the final moments of a 15-9 loss at Marble Falls. Video shows the referee, who was watching the play from behind the defensive line, getting leveled from behind by a first player, causing the referee’s head to snap back. The other player then is seen lowering his helmet and piling into the referee after he had fallen down.  Both players were immediately ejected from the game and later suspended from the team and from school, pending an investigation by the Northside Independent School District. The referee was “very upset” and “wanting to press charges,” Austin Football Officials Association secretary Wayne Elliott said. “The first thing we want is that those two kids never play football again,” said Elliott, who declined to release the referee’s name and added he was seeking guidance from the state officials association.